Join us for our third annual Field Day to be held on September 22nd. For more information please visit our field day page. We need you to become our partner. Join us in our mission by donating though our Annual Appeal. Any amount is graciously accepted and will be of great benefit to our nonprofit work. Your donation help us impact more lives through education and by providing access to fresh produce to those in need. The Earth is part of creation and it needs our respect. Come find yourself grounded in the life around you and under your feet. Please wear comfortable shoes. A snack and beverage will be included. Background: Worked in parish ministry and parish leadership for 40 years. One of her interests is quilting. Learning to walk with the ‘Darkness’. Our labyrinth is located on Wengert Road, at the second drive to the right. A snack and beverage will be included. Registration for the above programs, and others, can be competed through our website calendar. Or by calling the office at (614) 866-4302. Join us on Saturday, September 22nd for Field Day. 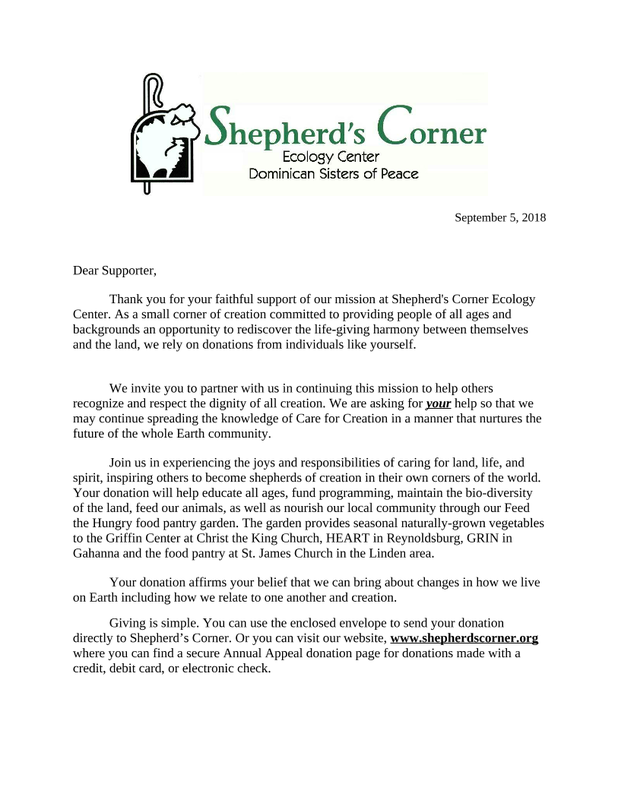 Curious about Shepherd’s Corner Ecology Center? Come and check us out! 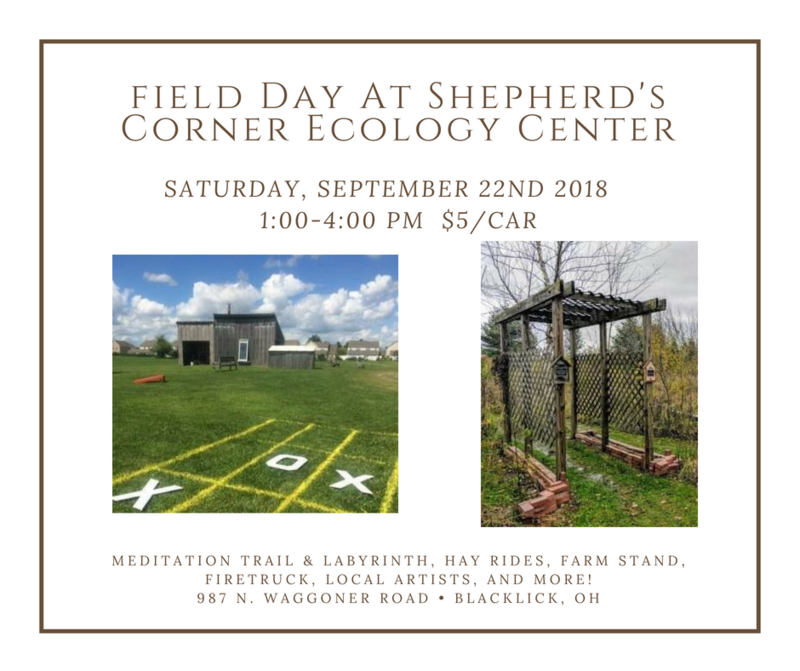 We invite you to come connect with Shepherd’s Corner Ecology Center and the community that surrounds our small corner of creation. You’ll be able to explore the gardens, take a hayride around our property, as well as walk the meditation trail & turf labyrinth. Jefferson Township fire department will be present so you can check out a fire truck up close! Local artists, including Donna Nesbitt (plein air painting) and Gail Maraman (felting), will be demonstrating their art. There will be a farm stand featuring naturally grown pesticide and herbicide free produce. We will also have some of our crafts, made by Sisters and volunteers, for purchase. This event is BYOP! bring your own picnic. We’ll have space dedicated to picnicking.